Starting with West Covina, CA? We're managing that quite fine without any asteroidal involvement, thank you. Yep I do suppose so. NASA’s OSIRIS-REx spacecraft is slated to launch from Cape Canaveral on Thursday, September 8th. 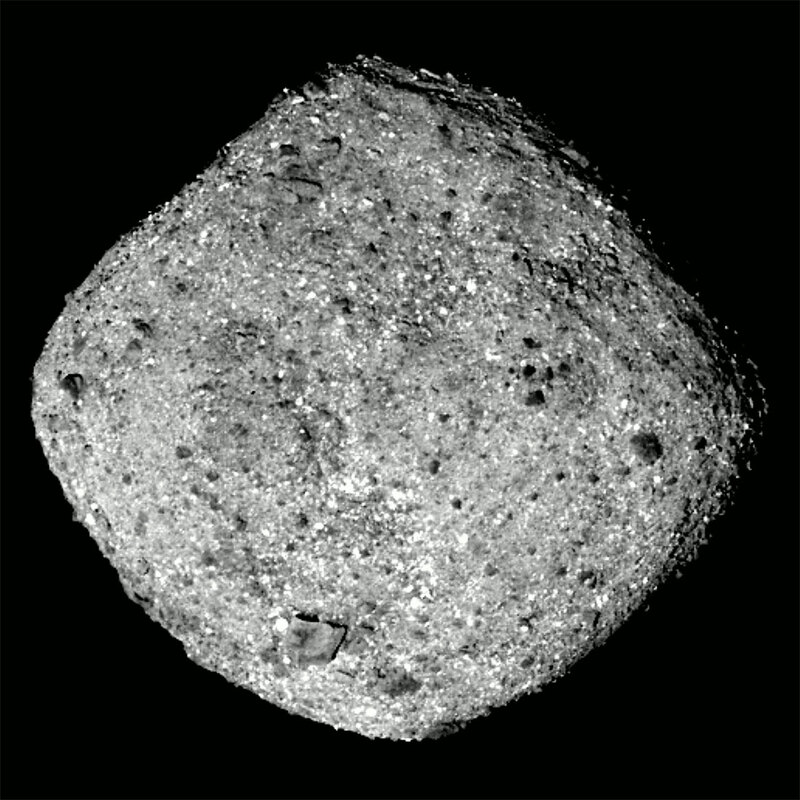 Its mission is to rendezvous with asteroid Bennu in 2018, take a sample from its surface, and return that sample to Earth in 2023. Makes you think about contamination. We don't want to contaminate Saturn but we can bring back samples from an asteroid thought to potentially have organic matter. Where does one find out about the precautions to be taken? Fred the Cat wrote: Makes you think about contamination. We don't want to contaminate Saturn but we can bring back samples from an asteroid thought to potentially have organic matter. Where does one find out about the precautions to be taken? I don't think there's a lot of concern about contaminating an asteroid, other than making sure that we're not accidentally measuring something of our own. Do not confuse "organic matter" with "living matter". The Earth is bombarded all the time with meteorites containing organic matter. It doesn't seem to be causing much problem. Chris Peterson wrote: I don't think there's a lot of concern about contaminating an asteroid, other than making sure that we're not accidentally measuring something of our own. What? I wish you wouldn't have told me that! (I thought my wife was acting funny) Those space spores will come to haunt us. Or ant infested cherry blossoms by your bedside. 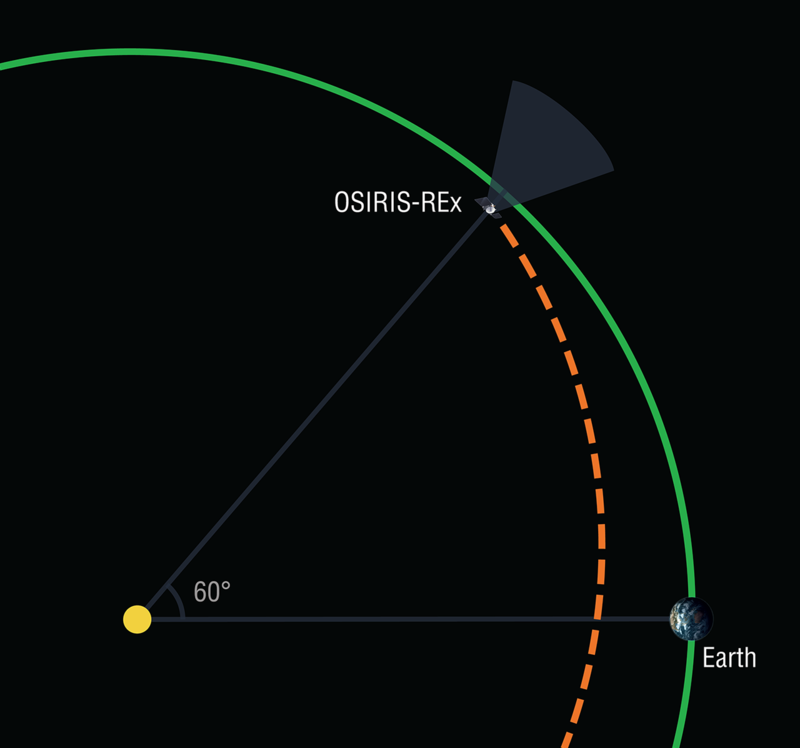 Seems the OSIRIS-Rex mission has quite an agenda. Save the Earth. See the last paragraph. Hopefully in the "nick" of time. Lifting off at 7:05 p.m. from Space Launch Complex 41 at NASA's Kennedy Space Center in Florida, the rocket's launch was timed to put the OSIRIS-REx spacecraft, short for Origins, Spectral Interpretation, Resource Identification, Security-Regolith Explorer, on an exact course to reach the asteroid Bennu in August 2018. An Atlas V rocket, a candle burning brightly in the evening sky trailed by a thick plume of smoke, successfully launched the latest chapter in the University of Arizona's rich history of planetary science Thursday from Cape Canaveral Air Force Station. Earth-Trojan asteroids while on its outbound journey to the asteroid Bennu. There are six planets in our solar system with known Trojan asteroids—Jupiter, Neptune, Mars, Venus, Uranus and, yes, even Earth. 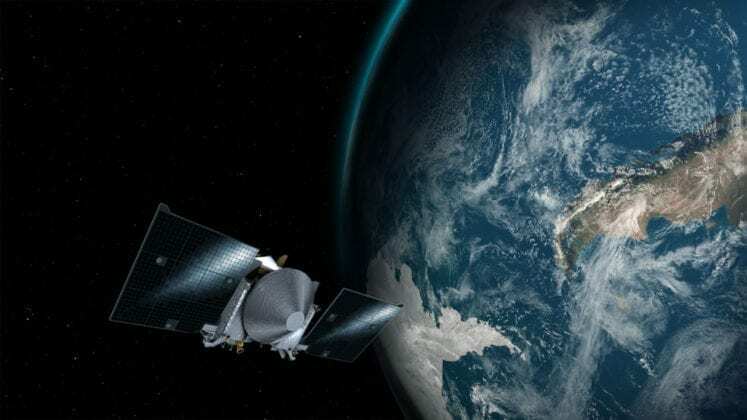 The Earth Trojan is elusive; to date, scientists have only discovered one Earth trojan asteroid -- 2010 TK7 -- found by NASA’s NEOWISE project in 2010. Yet there are more than 6,000 known Trojans that are co-orbiting the sun with the gas giant Jupiter. Scientists predict that there should be more Trojans sharing Earth’s orbit, but these asteroids are difficult to detect from Earth because they appear close to the sun from Earth's point of view. In mid-February 2017, however, the OSIRIS-REx spacecraft will be positioned in an ideal spot to undertake a survey. [img3="This artist’s concept shows the OSIRIS-Rex spacecraft passing by Earth. 2) transfer mass from the mid-latitudes to the equator.